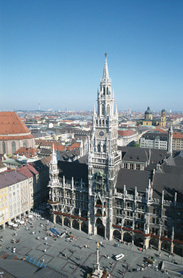 München! The heart of Bavaria. This is just a beautiful city, in the midst of the Bavarian Alps. Much history abounds here, as does beautiful architecture and friendly people. And, beer and bratwurst! Yum!